As the New York Yankees entered the third game of the 2009 World Series, they were faced with the unenviable task of trying to wrestle back the home field advantage they had lost back in the Big Apple. Heavy favorites to win the crown, they had shockingly split the first two games against their National League opponent. But when veteran left-handed pitcher Andy Pettitte took the mound, there was assuredly something else weighing on his mind: redemption. Two years earlier, Pettitte admitted to twice using human growth hormone back in 2002 to help speed up the recovery of his injured elbow. 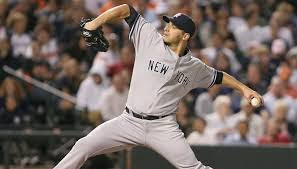 Even though HGH wasn’t a banned substance at the time, Pettitte still found himself in the crosshairs of negative commentary from the media and opposing fans. Even before his actions were publicly revealed, he quickly knew he needed to reverse course. So as Pettitte warmed up in Philadelphia, home to one of the most unforgiving fan bases, it was no surprise to him or anyone else that the boos and chants began to reverberate throughout Citizens Bank Park. It was Pettitte’s first World Series appearance since the HGH scandal two years earlier, but he was no stranger to the Fall Classic. Pettitte had already won four previous championships with the Yankees and had played for his hometown Astros in the club’s first ever World Series. This time was different. And Pettitte knew it. In the bottom of the second inning, the Phillies got the early advantage thanks to Jayson Werth’s home run followed by a bases-loaded walk and a sacrifice fly. Pettitte settled down and the Yankees fought back with seven runs of their own to take a 7-4 lead. Even Pettitte got into the act with his first career postseason RBI. The Yankees held onto the lead and took Game 3, 8-5. Pettitte won Game 6 as well and extended his record for most postseason wins with 18 en route to his fifth and final World Series ring. A few years later, the Yankees retired his #46 jersey. While some contrarian opinions about Pettitte may never change, he takes solace in the fact that his mistake was largely forgiven within the Christian community and that his opportunities to share his story in churches and organizations actually increased after his contrite admission. Ultimately, his embrace of 1 Peter 4:11 and his faith provided the strength that carried him throughout that entire World Series and helped him find the redemption he craved. Dear Lord, we pray that we would do the right thing no matter how difficult it may be. Give us the strength to carry Your good news to the world around us. In the Name of Jesus, Amen.